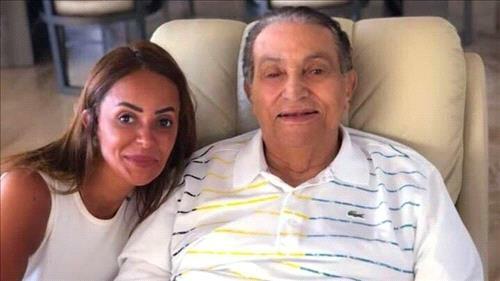 AMMONNEWS - The latest photo of former Egyptian President Hosni Mubarak caused shockwaves on social media, as he looked frail and aged. The photo which was widely circulated on social media platforms, showed the aging former president, 90, had gained a lot of weight. The former president who stepped down after 18 days of demonstrations during the Egyptian Revolution of 2011, celebrated his 90th birthday on May 4. Mubarak was seen for the first time two years ago with his family at a tourist resort after being acquitted in the murder of demonstrators during the revolution. He was seen in the picture inside a car, smiling and healthy, hugging his granddaughter, sitting beside his son Jamal, who was in the driver’s seat.